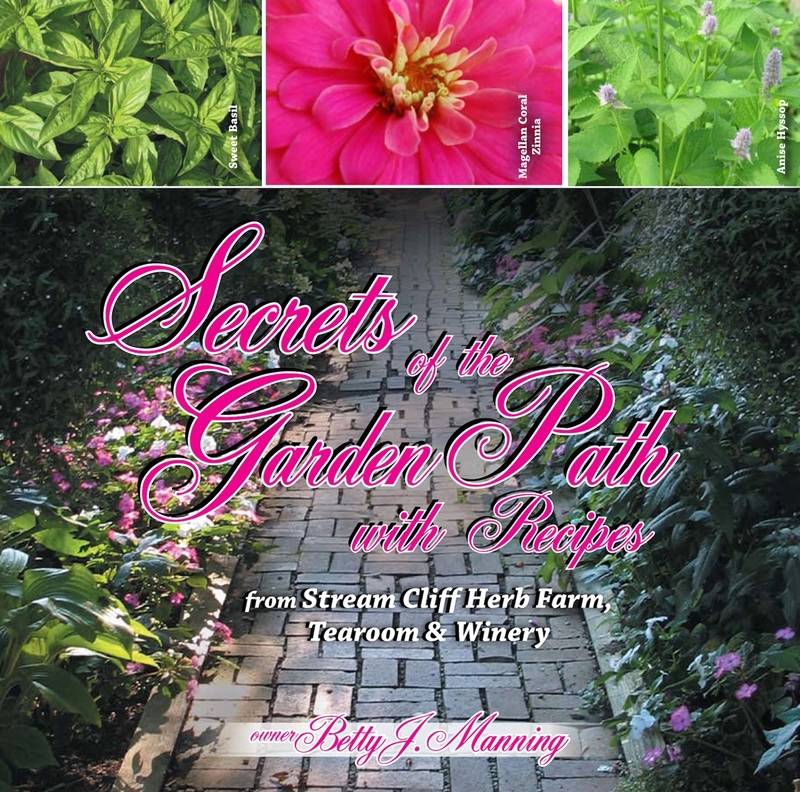 Secrets of the Garden Paths, with Recipes is a hardcover book with 136 full color pages. 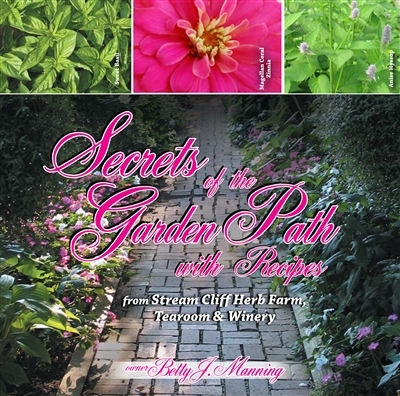 It has many photographs of Stream Cliff Farm, a whole section on culinary herbs and many, many recipes that have been used in the tearoom, some family secret recipes, as well as some that have been taught in the Farm's Cooking School. The price is $34.99 which includes the book, shipping, handling and sales tax. If you would like the book signed and personalized at no extra charge by author, Betty Manning, include what you would like in the "Signature Info" box above.